"A further announcement will be made in due course," United added. Lukaku is already in the US, where he and United midfielder Paul Pogba have been spending time and training together, with Pogba posting updates on his Instagram page. United's Paul Pogba posted a video of himself with Lukaku to his Instagram page on Saturday with the message "See you tomorrow in training @rlukaku9 #bienvenue"
"Romelu likes to speak. He's a young boy who likes to speak. But the only thing he didn't say is why he went to Everton on loan. That's the only thing he never says. And my last contact with him was to tell him exactly that - 'why do you never say why you are not here?'" "Everyone says it is Mourinho's fault but it is not his fault because I made the decision [to leave Chelsea]. I went to his office to ask if I could go. 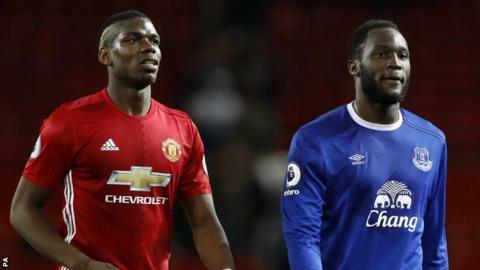 "Romelu was always very clear with us with his mentality and his approach was not highly motivated to come to a competitive situation with Chelsea. "He wanted to play for Chelsea but he clearly wanted to be first-choice striker - but for a club of our dimension it is very difficult to promise to a player."